Whoop! 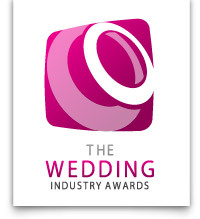 The Wedding Industry Awards have just announced my involvement in this Wednesday 15th January. I am rather excited at sharing a sherry with my peers! We’d be delighted if you would share your experience of #TWIA2014 in photos with us, using a brand new app called Jaunty Twig. Please download and try out before the awards evening by sending us photos of your journey, outfits & preparations. The Event Code is 5d801b and you can see what everyone is sharing in the ‘Image Gallery’ area. When you arrive at the awards ceremony, please carry on taking and sharing your photos and look out for them on the big screens! Jaunty Twig is a brand new event, crowd-souring photo app with a live slideshow and optional Guest book and Video messaging functionality.